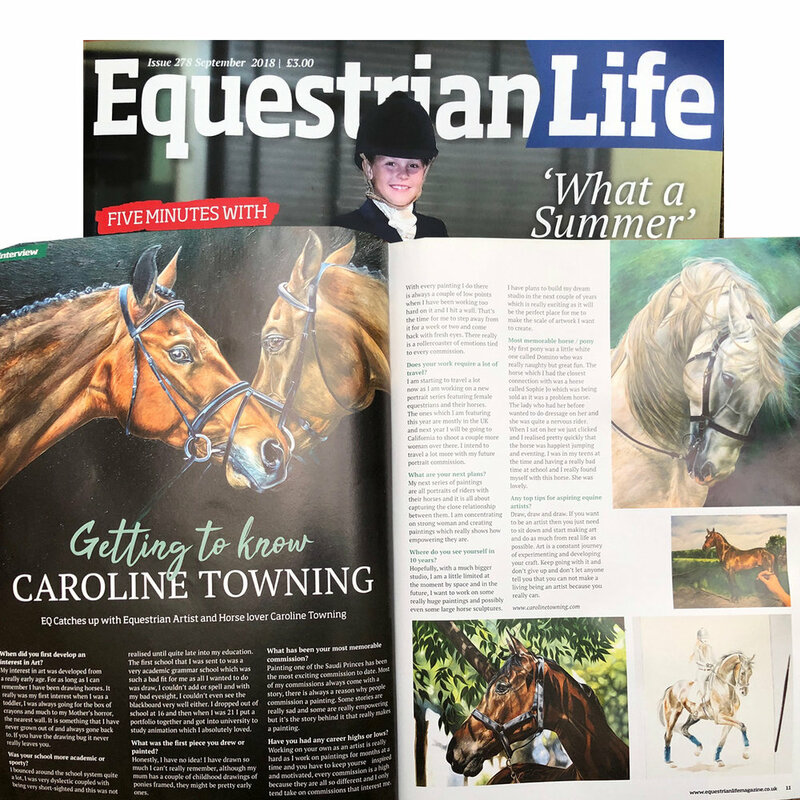 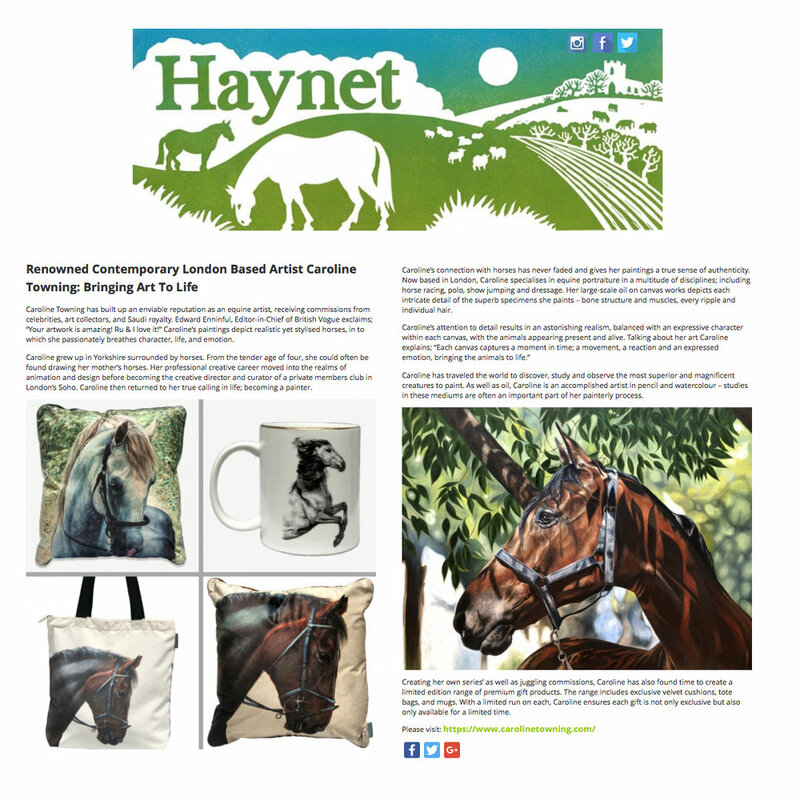 A selection of press and featuring horse head painting about equestrian artist Caroline Towning. 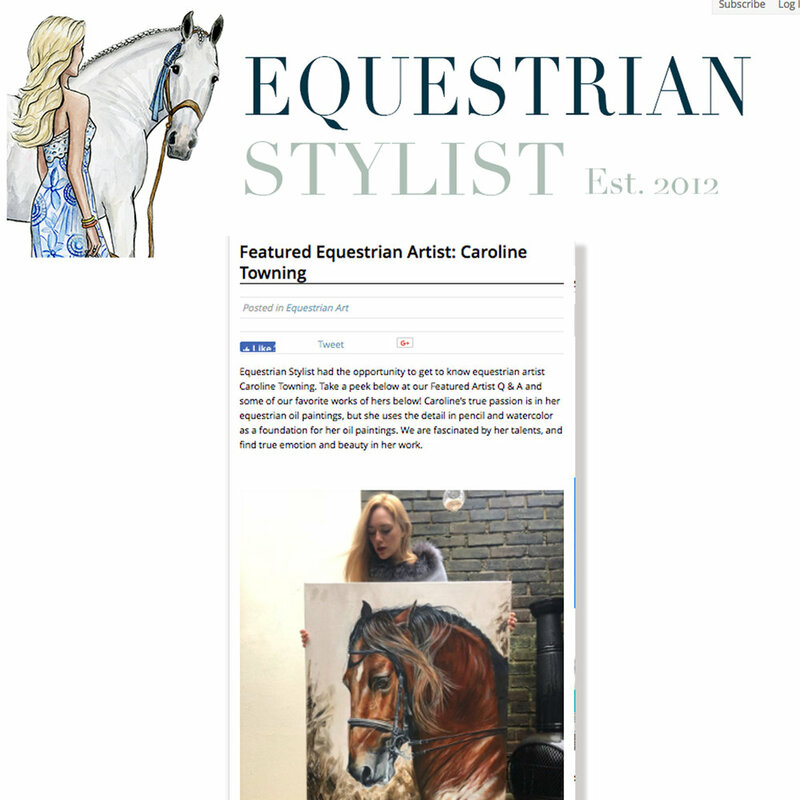 A horse painting artist living in London. 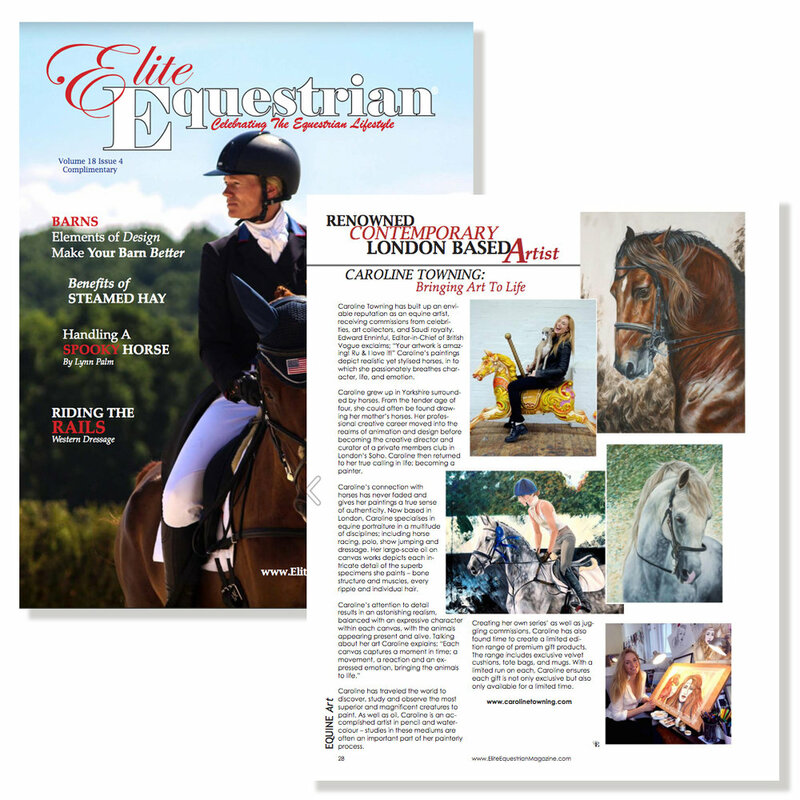 Click the links to read full articles and features.